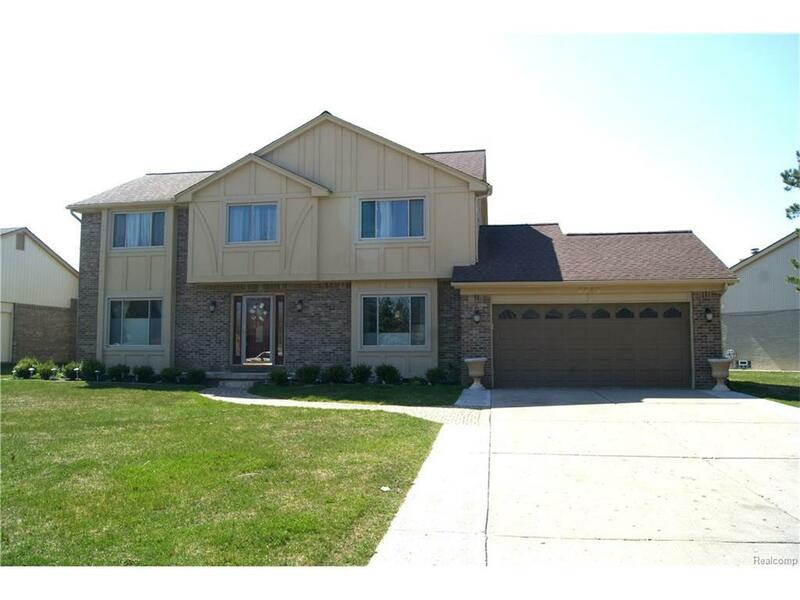 Totally Remodeled Colonial in Heart of West Bloomfield in Timbers Edge Sub. Fabulous Upgrades T/O include Hardwood Flooring, Crown Molding & Wood Trim, Custom Light Fixtures & Window Treatments. Gourmet Kitchen w/ Granite, Island, Premium Stainless Appliances, Large Pantry. Great Room w/ High Vaulted Ceiling & Custom Fireplace. Living Room (may be converted into dining rm) / Dining Room. Library/ Den (currently used as 1st flr bedroom). Spacious Master Suite w/ Cathedral Ceiling, Huge Walk-In Closet, and Luxurious Bath. 3 Additional Upper Bedrooms. Upper Bath w/ Granite. Large deck overlooks backyard & commons area. Excludes washer & dryer. All M & D Approx.